blend dates, cashews, and water in blender until smooth and thick. Add other ingredients by hand, grinding seeds and oat groats to flour in a coffee grinder. The mixture should be thick and sticky. 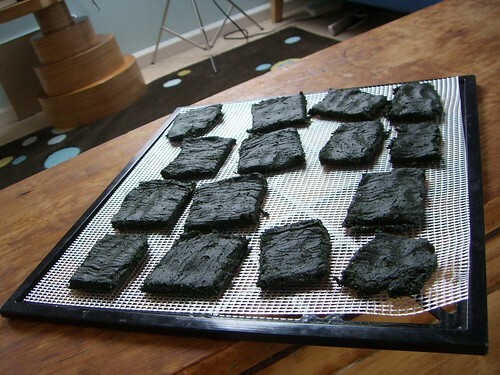 dehydrate on wax paper, flipping after a few hours, removing paper, slicing and separating pieces so they dry faster. Use your best judgment as to quantities, in order to achieve a mixture that is the correct consistency. i know probably dumb question. But what do these taste like. Cunchy Dates? Ran across this web site. Thought you might like. has yummy looking raw food.